However, the relationship turned sour in 2016 and by time he was about to leave office his own credibility and integrity was at zero. 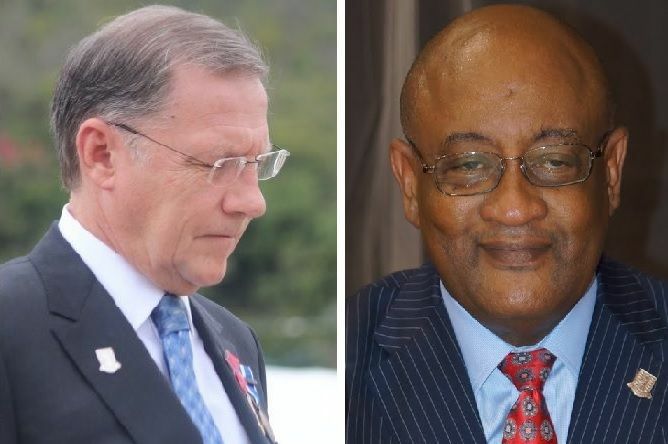 In fact, the public no longer trusted him and even our newsroom caught him lying in 2016 over the matter of what he said publicly about the contract renewal of former BVI Ports Authority Managing Director Claude O. Skelton Cline. It was Friday March 23, 2018 at the continuation of the Third Sitting of the Third Session on the debate of the Virgin Islands Recovery and Development Act, 2018 that the former Governor was in the spot light. Is John Duncan the Boogie Man? While he did not call his name directly, Minister for Health and Social Development Hon Ronnie W. Skelton (AL) suggested that a former governor who could not get his way in the Territory was up in England trying to help formulate the strict measures imposed by the United Kingdom (UK) in the recovery framework document in exchange for loan guarantees. Mr Skelton, a former Finance Minister [2003-2007], went on to state “But because he couldn’t get his way here, he gone up there to get his way.” In other words, the Minister suggested there is a ‘Boogie Man’ behind the scenes trying to frighten the Virgin Islands into good financial behaviour. Hon Skelton, an indigenous Virgin Islander, said “We have institutions here in this country that are beacons to some of the world.” He gave examples of the Social Security Board, and the National Health Insurance (NHI) where he said members from that agency are helping St Kitts-Nevis start their NHI. A series of letters was leaked to the press on how Mr Duncan felt about the NDP administration on their stewardship of public funds, issues the Opposition, the media and civil society were saying for years. It is our understanding that the former Governor was also on the streets with private conversations, making allegations on which politician was corrupt. 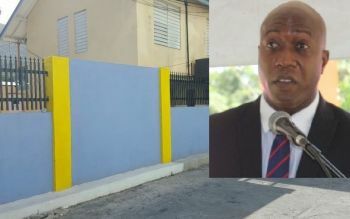 Four days before his departure, he had also made a request to the then Acting Auditor General to conduct an investigation/audit into a small wall constructed by Hon Myron V. Walwyn (AL), the Education and Culture Minister, around the Elmore Stoutt High School in 2015 just before the general elections. The wall cost tax payers $1.6M and new governor Augustus J. U. Jaspert told our newsroom in an exclusive interview that the investigation into Hon Walwyn’s high school wall is continuing. "...Hon Ronnie W. Skelton (AL) suggested that a former governor who could not get his way in the Territory was up in England trying to help formulate the strict measures imposed by the United Kingdom (UK) in the recovery framework document in exchange for loan guarantees." With all the Ministers complaining about the UK, accusing it of everything from returning local's back to slavery, to, setting you up to pull the rug from under you, I don't understand why your government does not just go independent. If the UK is so bad, why have anything to do with them, you can cut the cord in a heartbeat and they will be delighted. Independence is not a ministers decision. It is a people's decision. We going to come out from under UK and send home all the Edomites who here among us pretending. Them looking for what our forefathers took whips for. The ting heating up. Remember the words of TB Lettsome: "The UK will do you a thing one day, and you will have no choice but to leave them." If TB could see the writing on the wall, why can't we now. The day will come people, when we must leave that Colonial Master, the UK. The same God who brought us out of the land of Egypt will take us to the next promise land. Melanin cannot die. What a lot of wasted words that mean nothing. I mean, if you want to be leader - and “many” say he should take over Finance(!!!) - you should at least be able to make a point, string a sentence together and not just half say something so it sound like you really saying something. Finally, STOP with this misuse of the word “indigenous”. The indigenous people of these islands were native Americans wiped out by Europeans. The African slaves came from Africa, so not indigenous. Misusing this word is a way of telling people you are ignorant and you don’t care. Why would you want to convey such a message? “But because he couldn’t get his way here, he gone up there to get his way.” What about when you all had your way with the public finances now you can't do it you bawling?! No he was to dam weak weak writing letters to the premier saying he must do better instead of taking action. Lol lol. Oh shut and blimey. I love thay one. What a scenario. Ha ha he haw. connect the dots, is he? The game has not change. This play took you too long former coach. You are definitely out of practice- and now your team is caught having to play a grossly weak defense. Whose fault is it? b : an official elected or appointed to act as ruler, chief executive, or nominal head of a political unit. It's like y'all don't get it. Soon enough. The Minister is a prideful fool, who has not practices fiscal responsibility, and who now plays the race card when someone simply points out it's time to be accountable. Exactly they behaving like they were running the country well and the board is not justified.